The 2018 Chevrolet Cruze is a great little compact car in its own right. Its redesign of a couple of years ago putting it into serious contention in this competitive market. The addition of the diesel option and then a hatchback option made it a superstar. Now all of that is combined into a diesel-powered hatchback option for the 2018 Cruze that puts it in a league of its own. The 2018 Chevrolet Cruze now has everything: a fuel-efficient option, a spacious option, and now a combination of those two. Both alongside the standard gasoline and sedan options already in place. The 2018 Chevrolet Cruze is a five-seat sedan or hatchback available in both gasoline and diesel engine options. A manual transmission is offered on the lower trims and an automatic on higher trim points. 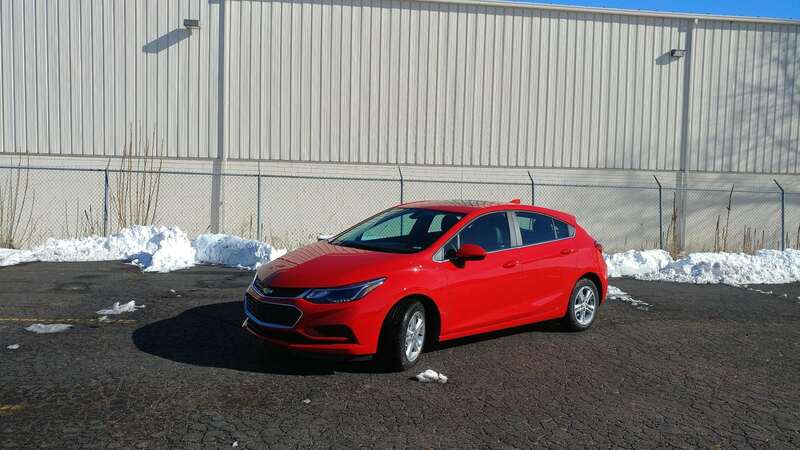 The Chevy Cruze in this current generation is a good drive, has a solid design, and is comfortable and roomy compared to many in the compact classes. In the compact car market, there are either cheap or not-so-cheap offerings. The 2018 Chevy Cruze falls into the latter category, while retaining a competitive price point. The Cruze starts at under $17,000, though most buyers aren’t likely to see that purely base model at the showroom–it’s largely special order. Instead, the more realistically-equipped LS will be offered as the base model to most buyers, but still begins with a more than reasonable MSRP. Where the 2018 Cruze shines most is in its versatility and fun driving demeanor. It’s not fast, of course, but it feels fun in a more grown up way. Adding on the great styling of the wagon-like hatchback and the efficiently determined diesel makes for a great combination. 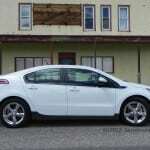 There are four trim levels for the Cruze sedan (L, LS, LT, Premier) and two for the Chevy Cruze Hatchback (LT, Premier). Those using the diesel engine will have Diesel after their trim point name. 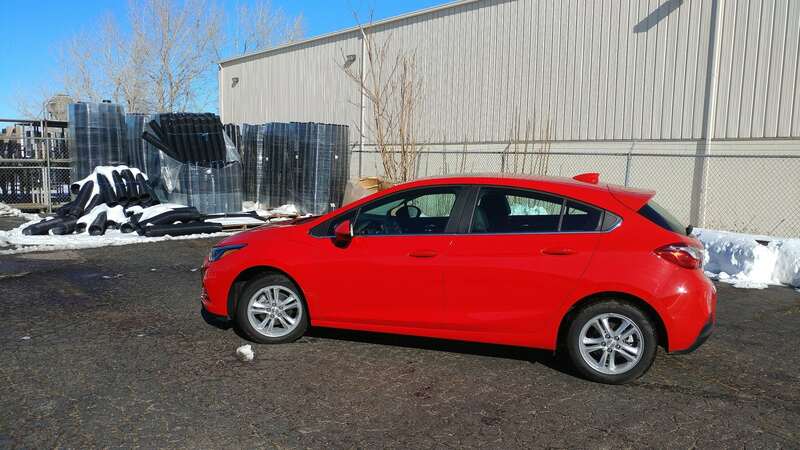 L – The Cruze L is available as a custom order only and is mainly aimed towards fleets and customizers with its very base level equipment and price tag to match. 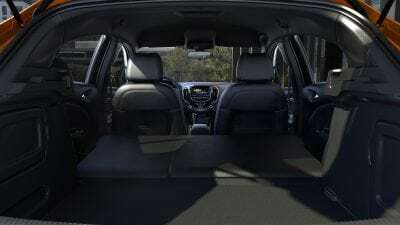 15-inch steel wheels, A/C, manual seat adjustments, 60/40 split-fold rear seating, a four-speaker stereo, available OnStar with 4G WiFi, and a rearview camera make up the basic inclusions for this model. 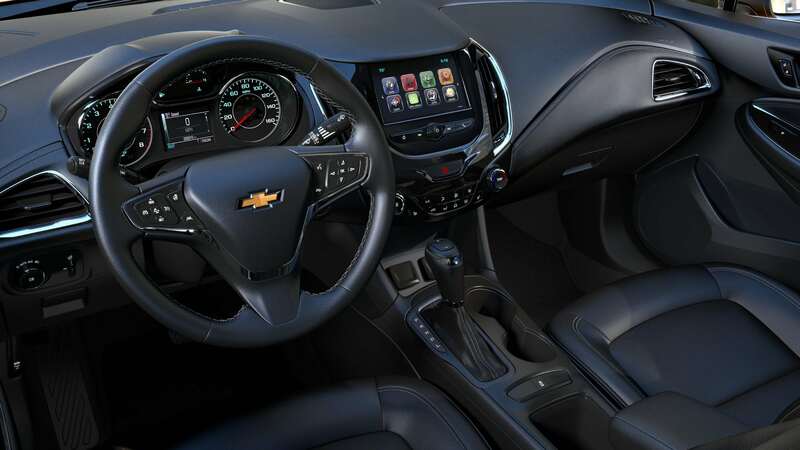 Notably, though, a 7-inch touchscreen with Apple CarPlay and Android Auto is also standard. 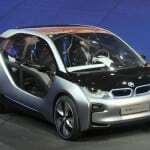 The gasoline engine and a six-speed manual transmission in front-wheel drive are the only powertrain options. LS – The Cruze LS is the most likely base model to be seen on dealership lots. It’s identical to the L, but adds armrests, floor mats, and a six-speed automatic transmission option. 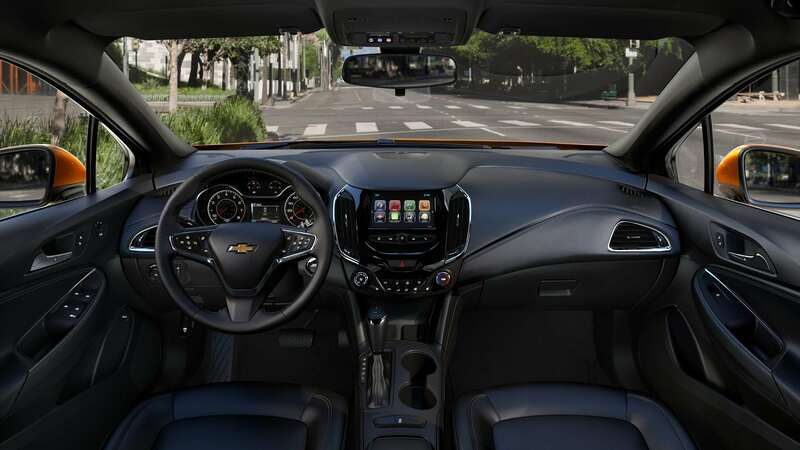 LT – The Cruze LT adds 16-inch alloy wheels, better headlamps, LED running lights, heated mirrors, cruise control, steering-mounted phone/audio controls, a six-speaker audio system, and more. 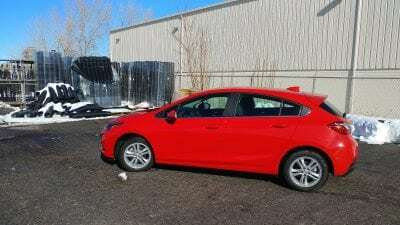 The hatchback becomes available in this trim as does the diesel engine. Available upgrades include heated seating, power seat adjustments, and remote start. 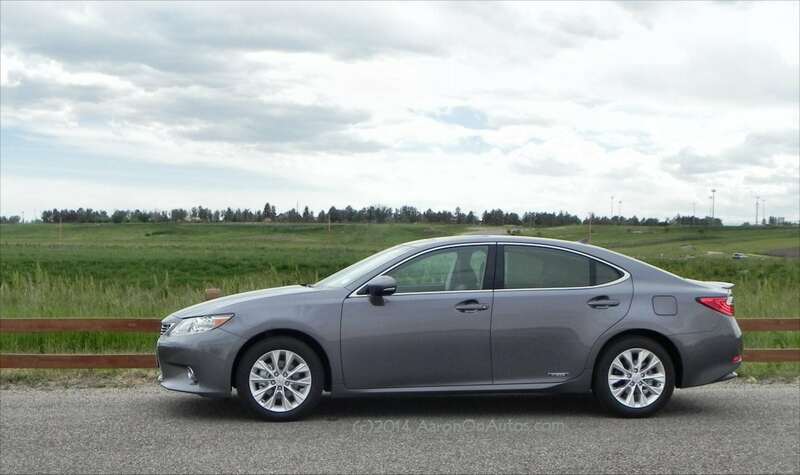 Premier – Adds the optional content to the LT model plus 17-inch wheels, better rear suspension, chrome accents, and ambient interior lighting. Both the LT and Premier trims can have an optional RS Appearance package added which adds some exterior elements, including fog lamps, to the Cruze. A sunroof and better sound system option are also available for these trims, as is a Driver Confidence and Driver Confidence II package that adds several driver’s convenience items and safety upgrades. The 2018 Chevrolet Cruze is a contemporary little car that uses simple elements to make for appealing design. The slightly pointed nose, divided grille, and three-pronged hood lines give it an almost upscale look when combined with the rounded fenders whose curve matches the slope of the windscreen and roof. The hatchback model adds station wagon styling to the 2018 Cruze, making it part of the resurgence of the wagon. 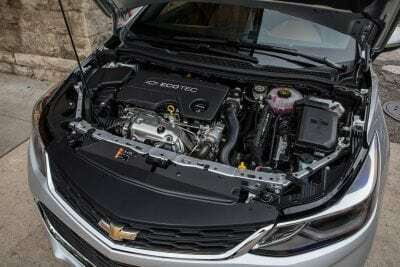 As the wagon style makes a comeback against the crossovers ubiquitous to the market and the squarish hatchbacks of many brands, Chevy helps lead the charge with the new Cruze Hatch. And we’re happy to see that. 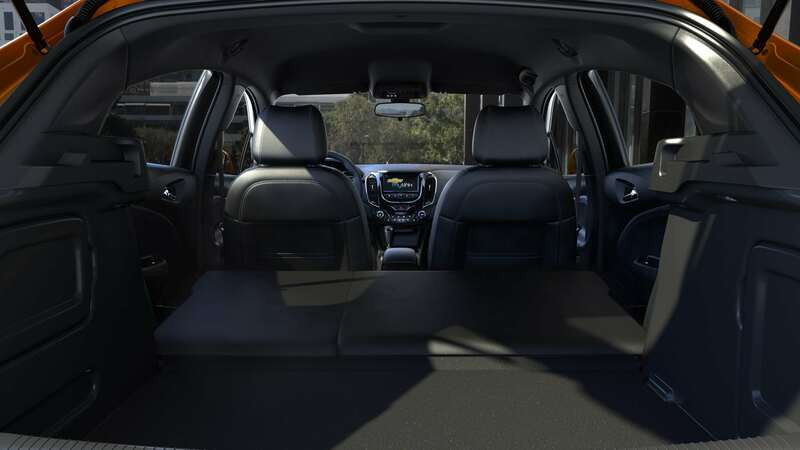 Inside, the 2018 Chevrolet Cruze has a good-sized cabin with an open-air appeal. The Cruze finds a middle ground between the larger-than-life and overly cozy options of this segment, making for a good fit overall. 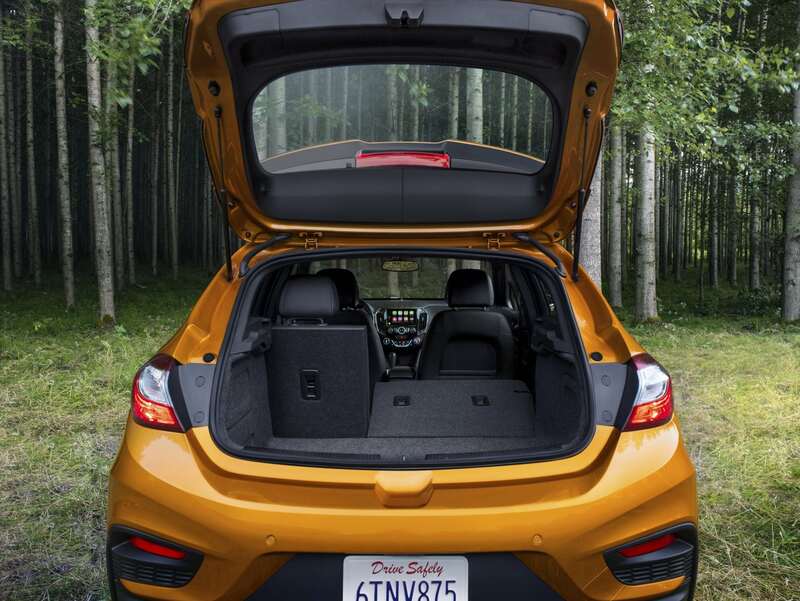 The hatchback model adds even more space to the Cruze, mostly in cargo. 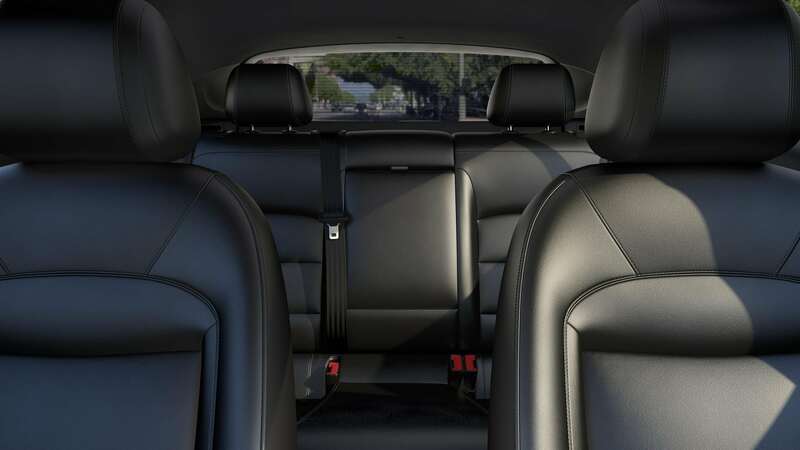 The rear seats of the Cruze are cramped for taller folks, but most adults will seat two easily and three in a pinch back there. Kids are able to sit three across provided one of them does not require a booster or safety seat. 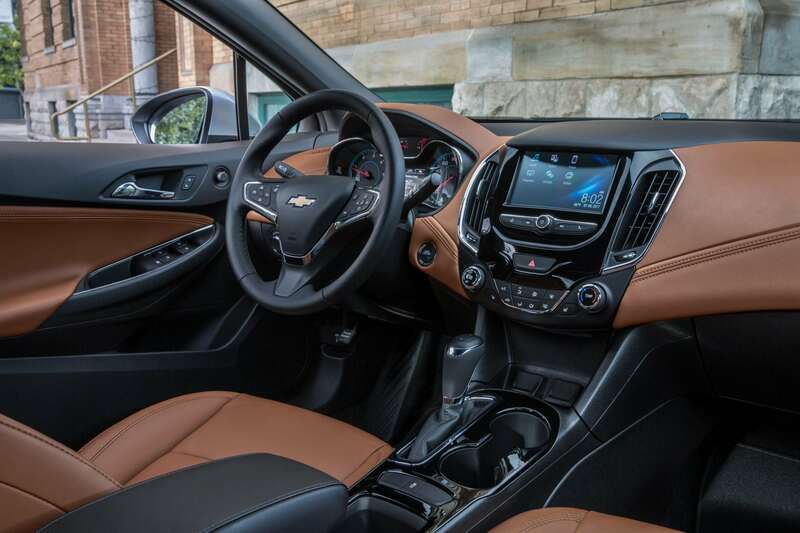 Materials and design in the 2018 Cruze’s cabin are well chosen and nicely placed. We like the layout and the feel for the driver and passengers. Comfortable seating and smart instrumentation make for an easy time behind the wheel. Infotainment in the 2018 Chevrolet Cruze is very nicely done with a screen outputting crisp graphics with fast responses to inputs. The MyLink system is easy to understand, with only a short learning curve, and the option for an in-car WiFi connection is phenomenally useful. The diesel engine for the Cruze is remarkably quiet and only marginally louder than the gasoline engine. At that, the extra noise is only heard outside of the car. 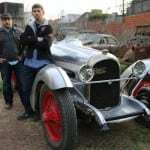 The engine is responsive and well-mannered on the road as well. The Cruze is far quieter on the road than are its contemporaries, with an almost premium feel to its cabin’s quietness. That’s very unusual in the compact segment and speaks well of the Cruze. Drive quality is also good, if not sporty. Despite the slow uptake of the engine from a stop, the overall drive feels sportier than it really is. Especially in curves and corners. On the highway, the Cruze jumps ahead to pass easily, showing where Chevrolet’s engineers put the power. Fuel economy is also very good in the Cruze Diesel, though it’s also very good in the gasoline option. The sedan gets up to 40 mpg on the highway. With the diesel engine, it’s good for 52 mpg on the highway in the sedan and 47 mpg with the heavier hatchback. 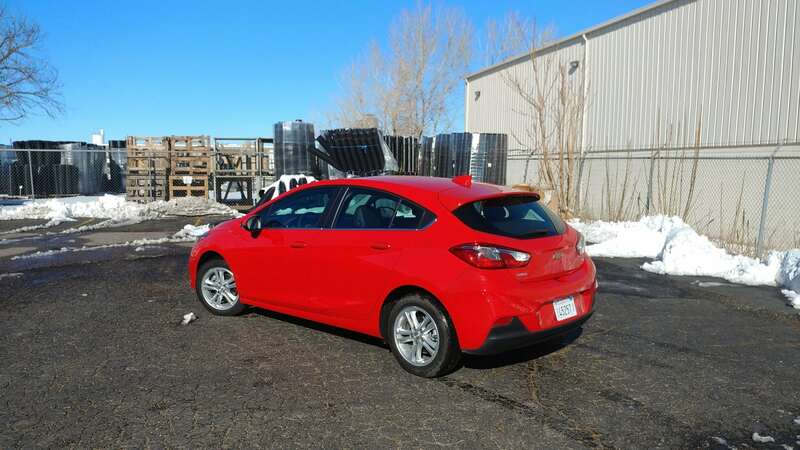 We saw 40 mpg overall in our drive of the Cruze Hatchback Diesel. Key competitors to the 2018 Chevrolet Cruze are the Honda Civic and Hyundai Elantra, both of which are available as hatchbacks or hybrids to compete with the hatchback diesel Cruze. Neither is available as both, however, making finding a competitor to this particular model impossible. We became fans of the 2018 Chevy Cruze for its combination of diesel and a hatchback. Already a great vehicle in its sedan format, adding the diesel option and the hatchback body style just made it as good as it can get for buyers in the compact realm. 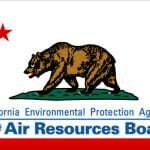 2018 Chevrolet Cruze Sedan Diesel offers up to an EPA-estimated 52 mpg highway — the highest highway fuel economy of any non-hybrid/non-EV in America. The Cruze was a manufacturer’s press loan for about a week. During that time, the Cruze Diesel was driven as a daily driver with varied passenger loads and cargo configurations. Weather was intermittently winter and spring.